I haven’t posted here much recently... and as many of you know there is a good reason. Following 3 years with my ’97 Celica ZR I was ready to step things up a notch. This was supposed to be in the form of an engine swap to the 147kW 2.0L red top BEAMS 3S-GE engine, but problems sourcing a suitable donor car in Japan in time, and my friend losing access to his garage space where we would do the work, this was no longer practical. I was in the process of going all out with parts from Japan (Tanabe Coilovers, TRD front strut, OEM rear strut, whiteline sway bar, TRD quickshift + all the visual stuff installed.... then bought C-One catback exhaust for Beams, ORC lightweight flywheel, C One cooling panel etc and was shopping for Evo 9 MR leather and alcantara bucket seat, C-One CF hood too). With the paint on the Celica fading fast, and the engine swap delayed for 6 months minimum, I decided to call it quits. I wanted to get something fun but not too expensive until I worked out what direction I wanted to go in next. 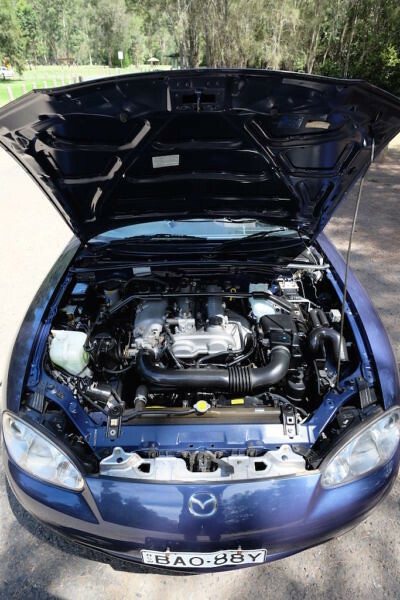 I would LOVE a 3rd gen MR2 Spyder with 2ZZ + 6spd from a 7th gen Celica, but signing up to a new engine swap wasn’t exactly solving any problems. 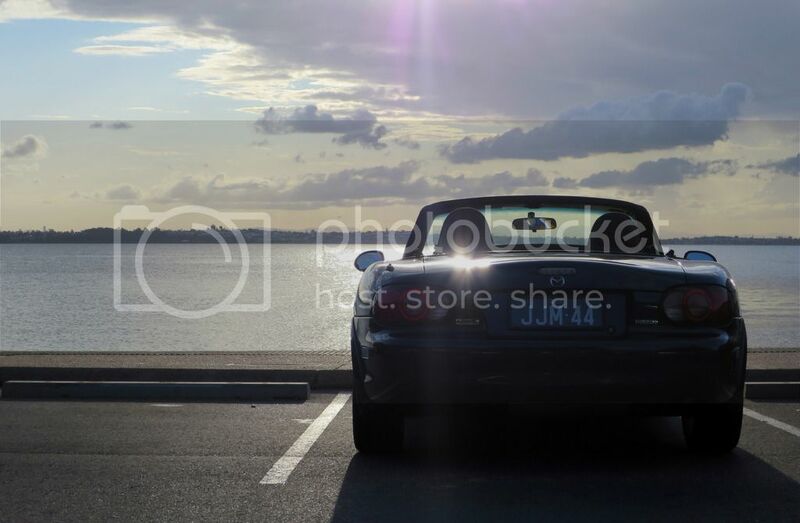 I decided as a car enthusiast it was my responsibility to own a MX5 at some point in my life, and now was a good time. I did a lot of research into all of the different models available and the NB8B came out a clear winner for me. 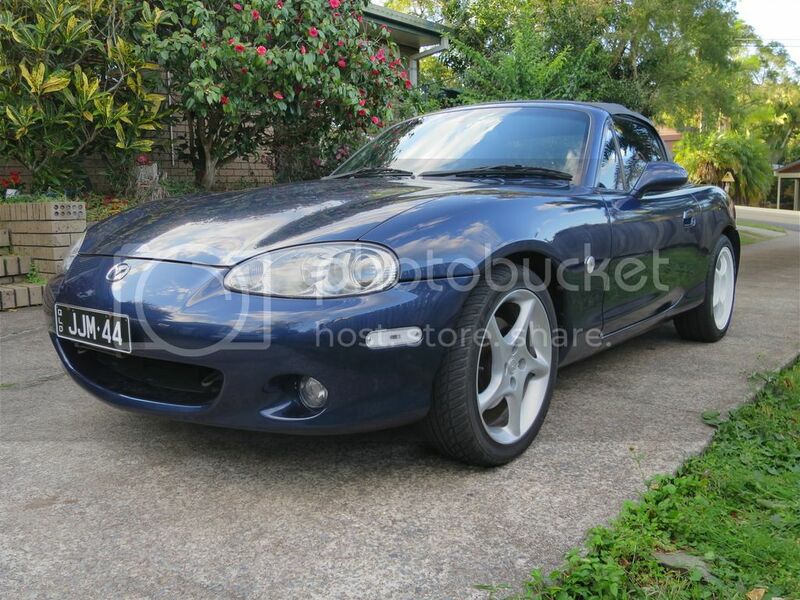 Given the reasons I was upgrading cars, I wanted a clean, fairly low kms car with good paint. The car is going to spend most of its time commuting, so safety in the form of dual airbags and ABS were highly desirable. 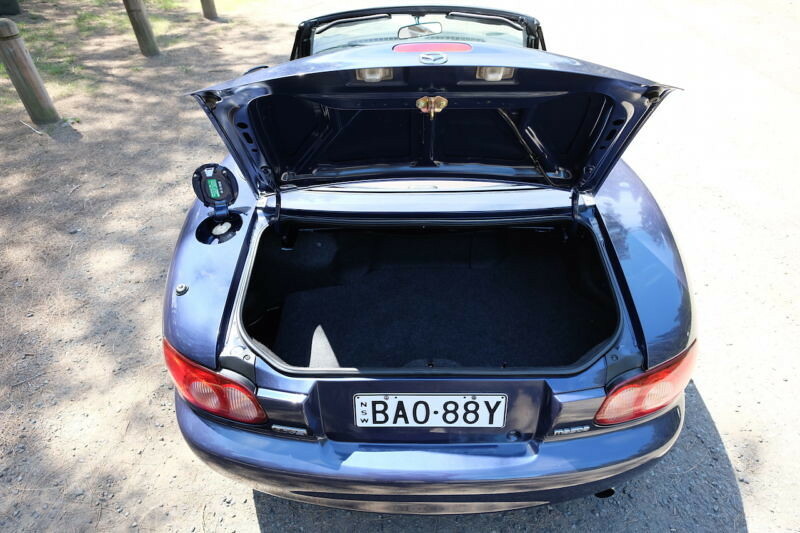 Considering the fact that I would upgrade a NB8A with the later bumper, projectors, rear lights, seats and centre console…. And still miss out on the VVT engine and safety stuff it just wasn’t worth it. 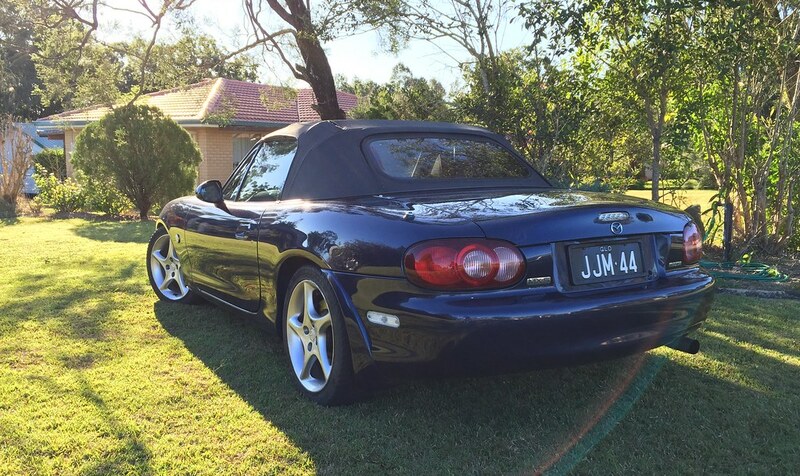 I actually wanted a NC originally – I was looking at ’05-’06 soft tops with ~130k kms for around $13k. 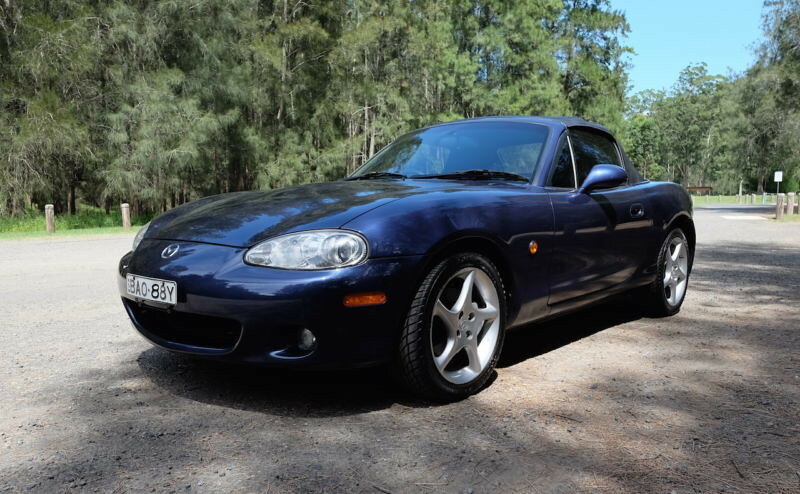 However, I didn’t have that kind of money in the bank (I would have when I sold my other car, but that would have meant more time) and I did some reading and the handling characteristics of the NB seemed to suit my needs better. 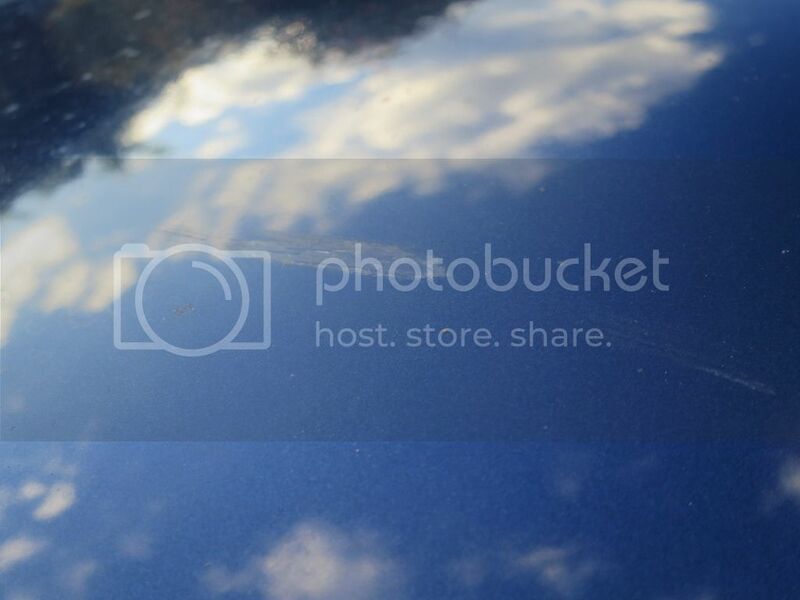 The only drawback was that the owner did not have the service log book and was obviously not a car guy at all…. Just ‘took it to the mechanic when it needed done’. 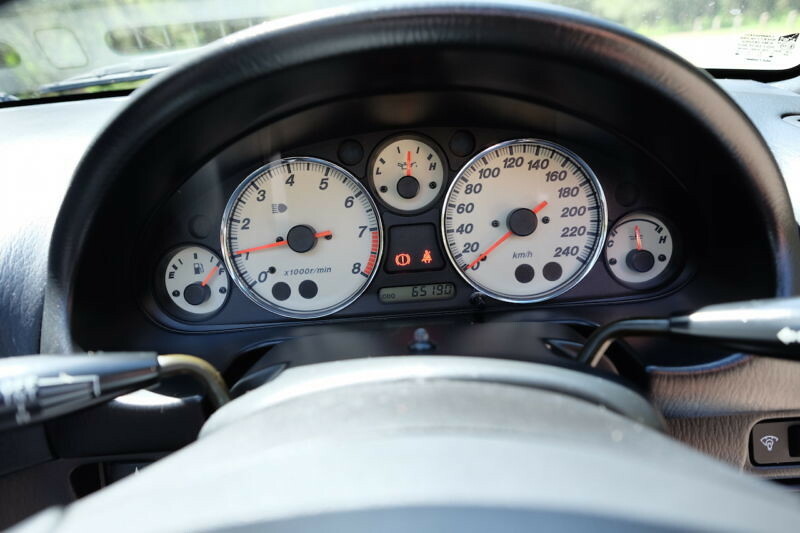 I took a guess at the service centre he was using and they found a couple of hits on their system that helped confirm that the kms were legit and it had been getting serviced (albeit based on kms not time… a problem with such low km cars). 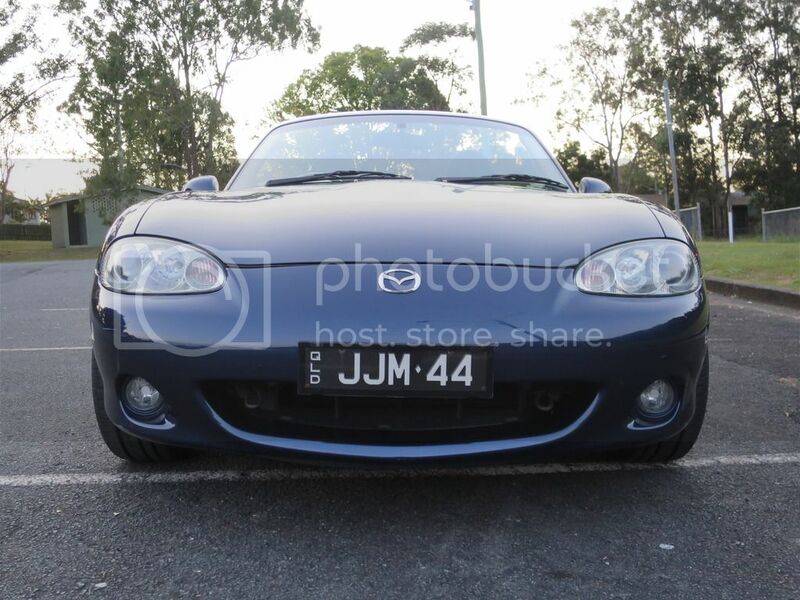 I had a friend who is an apprentice Mazda mechanic in Sydney test drive for me and he was pretty happy with it, and I chose a random garage nearby and paid for the owner to get a compression test done which came back all good so I was happy to proceed with the purchase. Price of $8k was negotiated before I flew down. Arrived in Sydney at 8pm on Friday night, went out for a Nasho run with some friends from a car club for my previous marque, met the seller Saturday morning, sorted out all the paperwork and transport permits, chatted with a friend until like 11am and then drove back to Brisbane in time for a mate’s 21st that night. Quick rest stop on the way home. 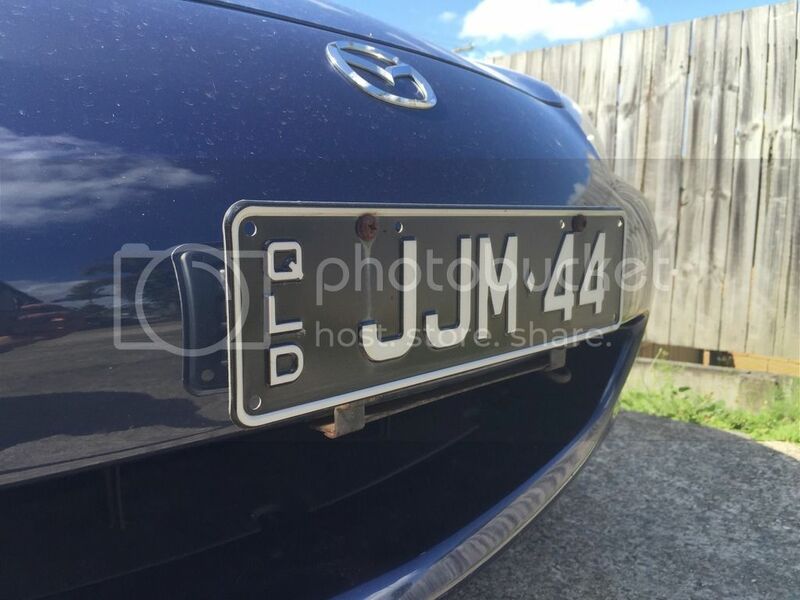 A few days later I took it down to get a QLD roadworthy certificate and registration. I knew the motor in the driver’s mirror wasn’t working, but the seller and I were under the impression that everything else was all good. The mechanic that I went to was really awesome, he remembered me from the last couple of times I had been in there with other cars and offered for me to come into the shop and watch him do the inspection so I could check out the car on the hoist. Most things looked pretty good, but there was a small rocker cover gasket leak (planning to do the timing belt soon anyway), a leaky clutch slave cylinder and the rear dif mounts were shot. 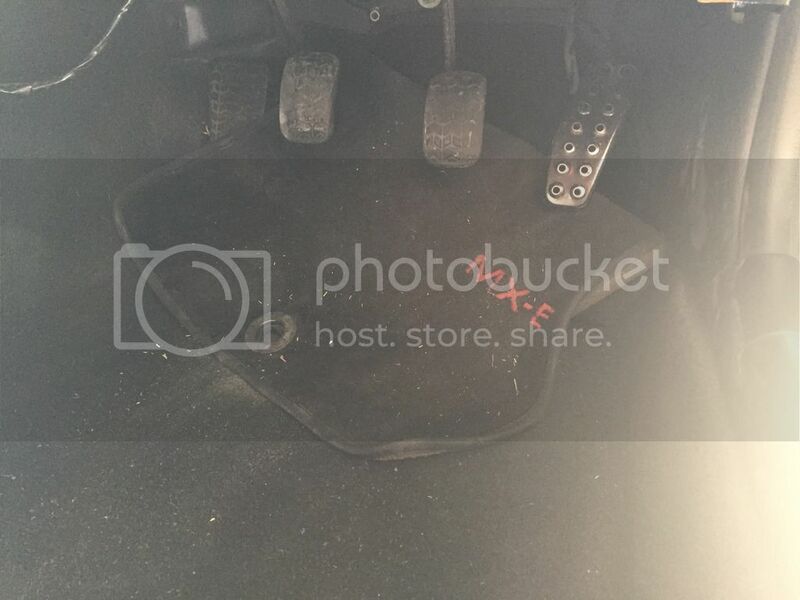 Purely for my own interest, he also noted that the suspension was fine at the moment, but the rear would probably be gone in 6-12 months, and that the brake pads had plenty of meat on them but were a terrible pad. There was nothing really dangerous, so they let me register it on the proviso that I fix up the stuff as soon as possible. Nice guy mechanic (y). On my way down the coast at Easter for some much-needed holidays the engine started cutting out on me at 110 in the right hand lane of the M1. Managed to get off to the left hand side, and waited for some tools to see if we could find anything wrong. By the time dad got there (30 min) the car started straight up and drove the rest of the way just fine. Weird. I couldn’t replicate the issue in the driveway, so I kept driving the car thinking it may have just been a random electrical glitch. It wasn’t. Happened again, this time at low speed with AC off, so completely different scenario to the first time. Car started back up after about 10 min. Did lots of forum searching but with the search terms I was using I couldn’t find anything conclusive. 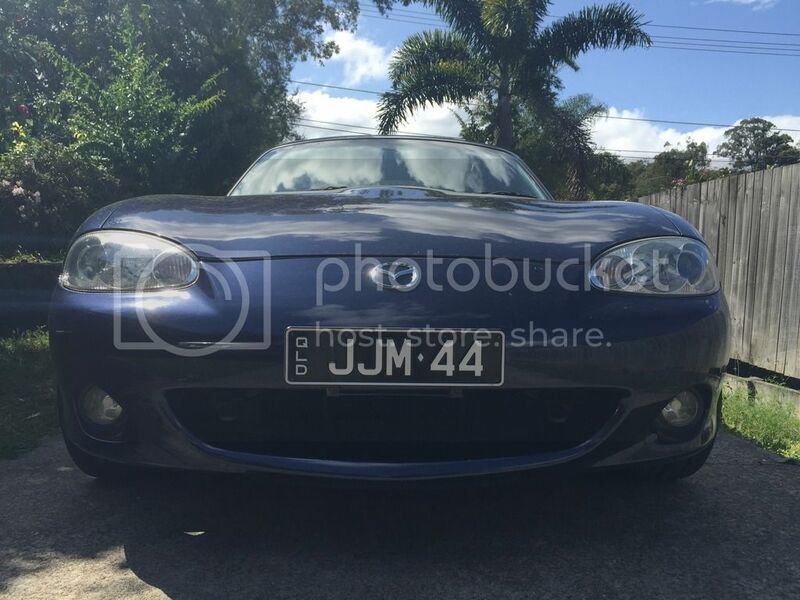 Rinse and repeat until I posted a video of the engine cutting out onto the MX5 Aus Facebook group. Within minutes I had the answer! A new cam position sensor was ordered and the problem was solved. I almost forgot too, during that weekend that Brisbane get a ridiculous amount of rain I had the car parked out the front and the foot-well filled up with water. Pulled the carpet up to make sure I dried everything up 100% and eventually tracked down the problem to be the plug that seals the wiring going to the door was out and all the water was splashing in. Since my dif cradle needed to come out to replace the mounts then it only makes sense to use the opportunity to replace the hideously long 3.63 open unit with a 4.1 FGR Torsen 2, doesn’t it? :lol: A unit was sourced locally for a very good price, but unfortunately I didn’t get a chance to install it before uni got too busy. It will happen in the next few weeks. I also have Super Pro poly mounts to go with it. At the same time as I started getting the break downs I got a nice big tear in the roof. In the past 3 years the car had only done 3000km, all weekend use and garaged with the roof up during the week. Suddenly here I was flipping the roof up and down 2-4 times per day and parking it out in the elements. I thought about repairing it, but it is obviously well past its use by date so I am going to order a replacement top from the states. 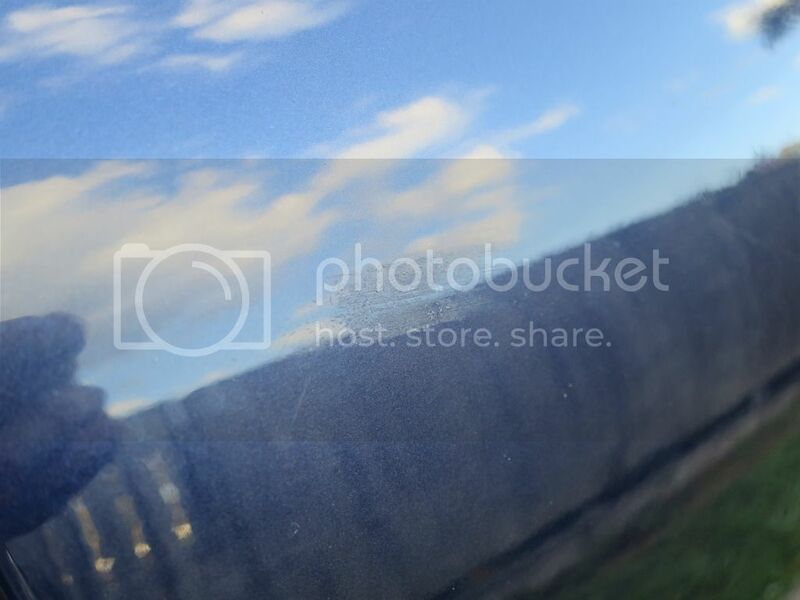 Looking for a cloth replacement top, zipperless, glass with defrost. Looking at something like the Robbins Streamline or the Sierra top. Just trying to decide between black and a navy blue. 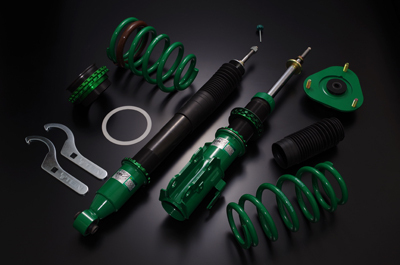 Finally, just a couple of weeks ago I ordered a set of Tein Flex Z coilovers from Japan. This is a new model (basically a sealed Street Flex, so lower maintenance and cheaper… and about the same cost to replace a damper instead of rebuilding anyway), and I’ve been waiting for them to come into production for the NB MX5. Good news is that June 12 was the lucky day and they should be with my agent shortly. I am probably going to save some money and get them shipped via sea mail though… we’ll see when the bill comes through. 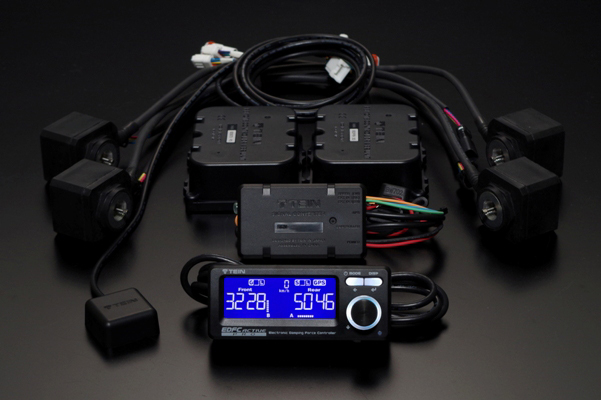 I am an electrical engineering student, so I love little technical goodies, so I am also anxiously awaiting the arrival of my Tein EDFC Active Pro damper management system! Worth the cost? I doubt it. Awesome? Most definitely. The Active Pro system uses latitudinal and longitudinal G force sensors to adjust the damping of each corner of the car on the fly. It also uses a speed signal input to allow you to have a soft and cushy ride when crawling around town and firm up when you speed up again. I think this will work great for a daily driver that I also want to put to test on the weekends. More Info. 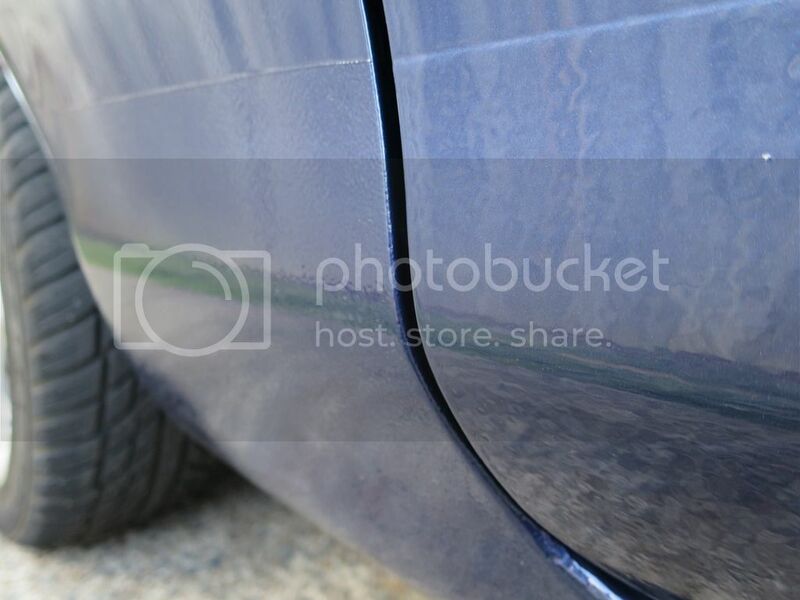 I have always loved the NB design, but there are a few things that bug me, like the US sidemarkers that they gave us too. Eventually I would like to fill them and repaint the bumpers, but clear replacements will do for now. I then went a little bit silly on IL Motorsport (combined shipping! ); Quickshifter, clear sidemarkers and indicators, LED centre brake light, hood struts, chrome vent rings and some frankenstein bolts for a bikini project (already bought a NA roof to demo on). 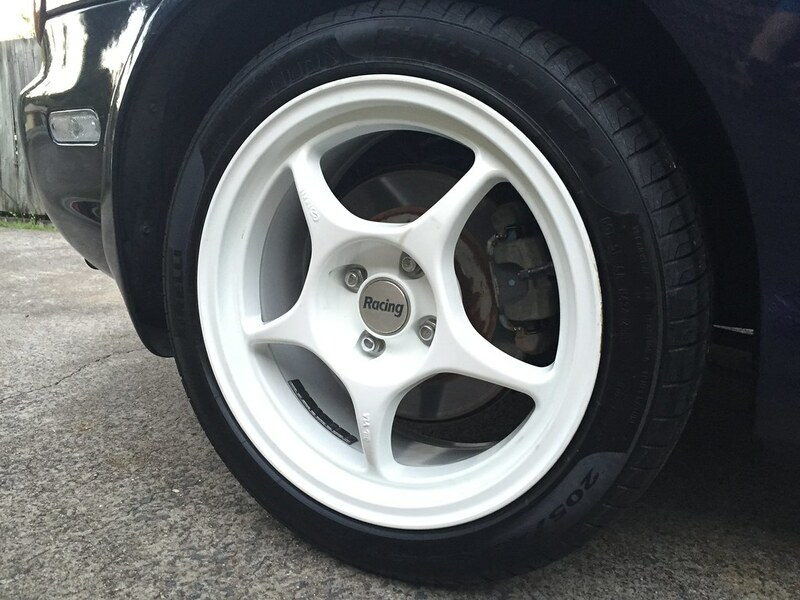 I wanted a set of wheels that would suit the car in white, that were light weight (lighter than stock anyway) and look good. I don't want to run wider than a 205 tire for now, so I didn't want to go wider than 7". 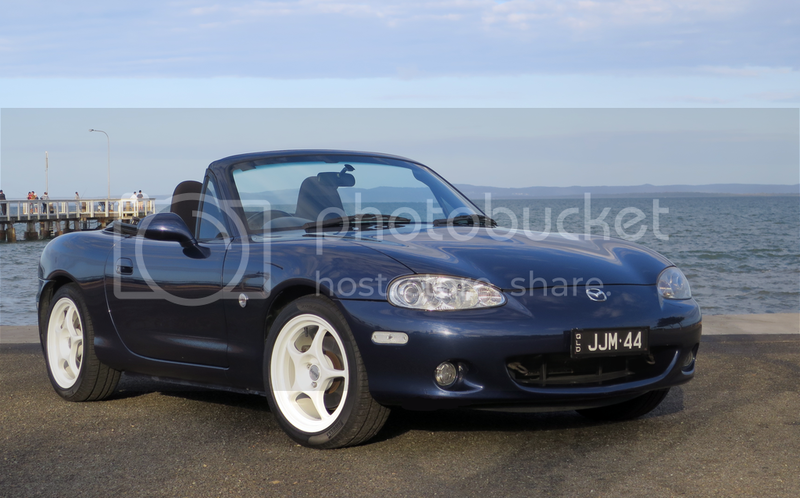 A spec miata class +25 offset would have been nice, but it is fairly rare to find used wheels. 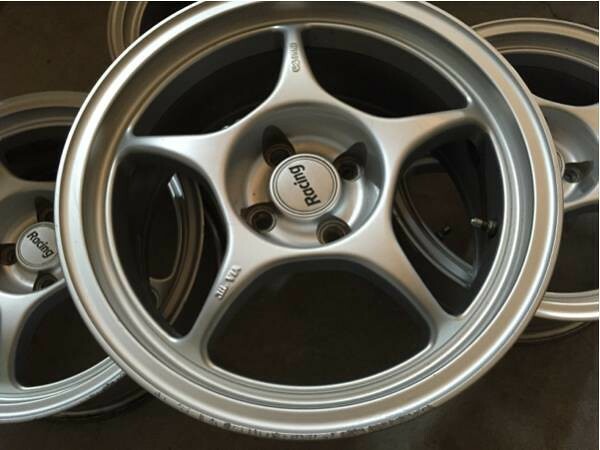 I bid on a couple of sets of 16x7 +35 Volks TE37, and I was in the right ballpark with prices, just unlucky. 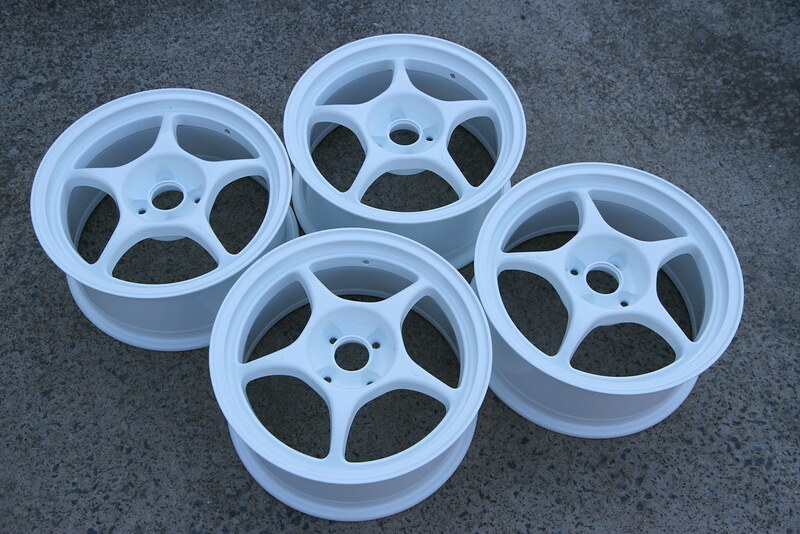 I then saw a set of these Enkei RP01 come up for sale; 16x7 +32. Much cheaper, looks good (was actually factory fitment in Japan... but in 15" with a weak offset) and fractionally lighter than stock. .... I have lots more to put here, but I significantly underestimated the time this would take to right... so you'll have to wait and see! This post was originally written for a different forum, before I decided that I should start a thread here too, so apologies if it isn't 100% targeted to this audience. I still have the Celica for now, but I am just waiting for exams to be done for me to strip some more parts off it and list it up for sale. 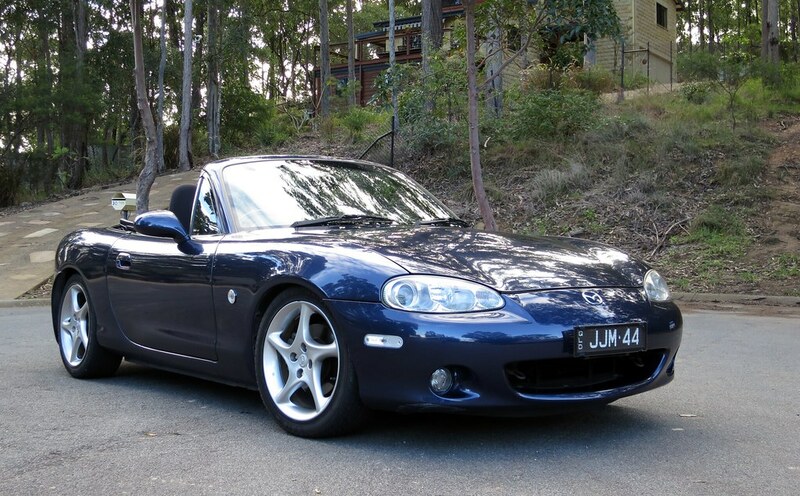 I still wouldn't mind trying a NB Miata myself. The NA I was just kind of disappointed in, it flexed and creaked more than my '79 Firebird does and that's just sad. Actually the Firebird doesn't creak or flex at all, but it's sans T-tops. Anyway, nice purchase. You probably bought my favourite colour available, though I seem to recall a nice burgundy was available too. 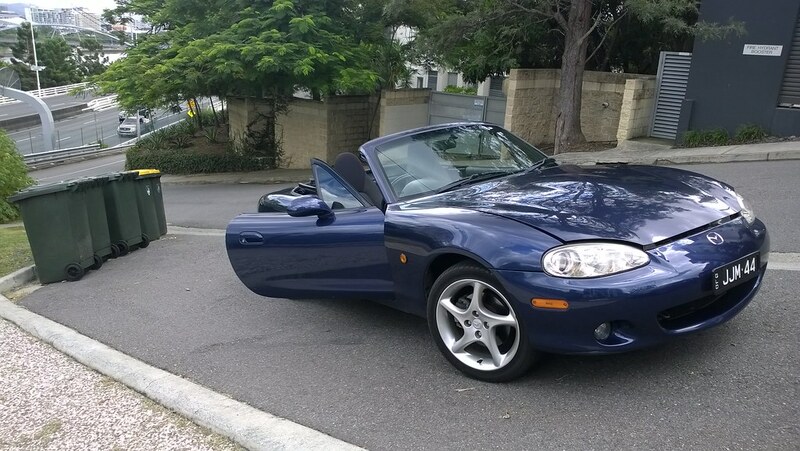 That and the shade of blue used on the 10AE was nice too. Personally I'd go with a black top since the interior is solid black. 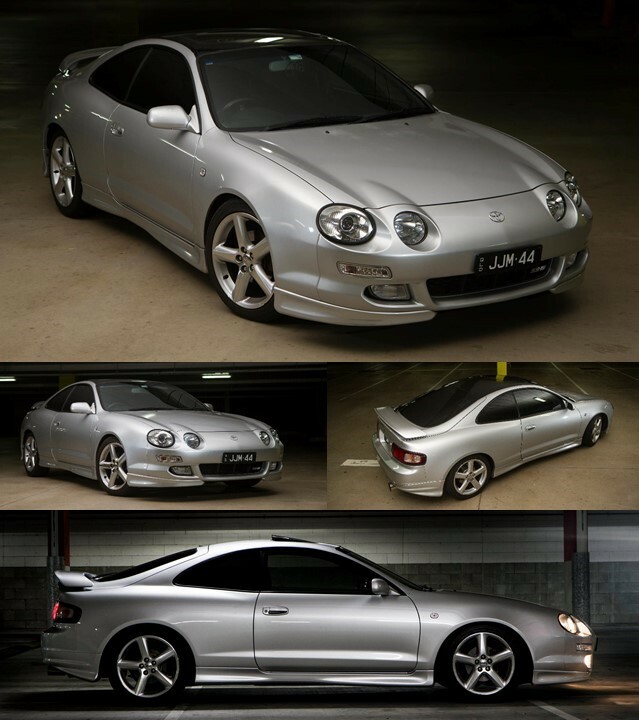 Also what's the deal with both Australians giving up on the Celica? Well one of the other reasons I looked out a NB8B (MY2001+) is because they added a significant amount of body bracing. I do not notice a significant amount of flex at all, though I will still be adding some frog arms and stuff to keep it nice and tight eventually. 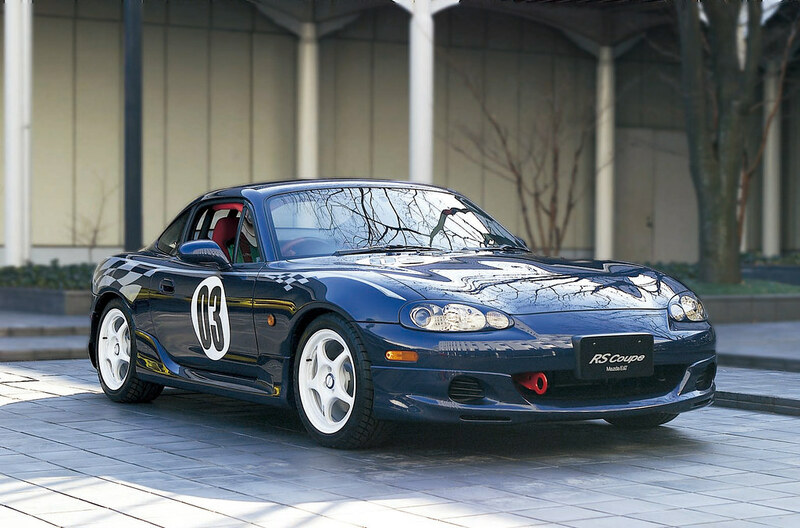 Compared to its NB.I predecessor, the NB.II MX-5 chassis achieved received additional reinforcements with newly added truss members, improved body frame and cross members and an under-bonnet brace between the suspension towers. As a result of these changes, bending rigidity increased by 16 per cent and torsional rigidity by 22 per cent. I really wanted the bright red one.... but they seemed to command a $2k price premium for lower quality examples. And I know how you feel about red This was my next favourite colour. Oh, and this one drifts (Did a skid pan day a couple of weeks ago). 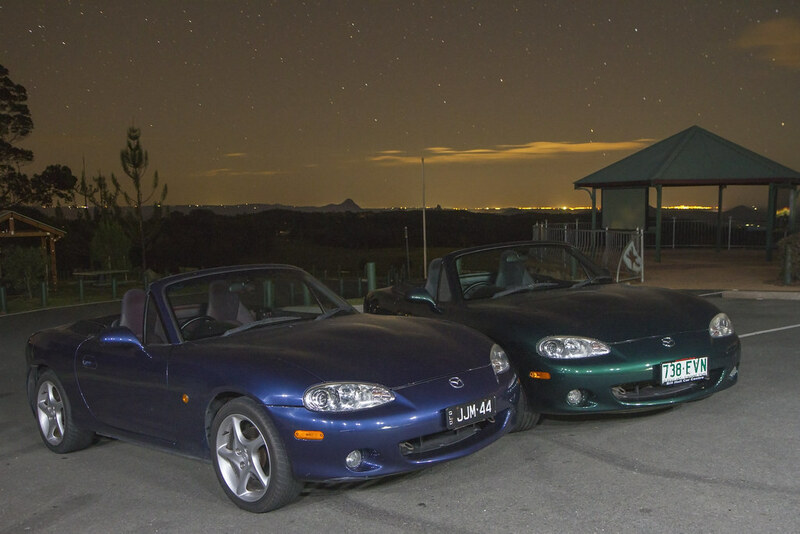 Also forgot to mention, one of my best friends (was going to say mates.... but I know you have issues with that too Box ) got the same model (built about 2 months after mine) in Emerald Green about 3 weeks after he drove mine. Oh yeah, I forgot about Emerald Green which was another nice colour. I probably would've bought one but all the ones for sale near me were either red or automatic, so I bought a red automatic Firebird. It's old, so I'm more forgiving but it'd be a million times better with a manual and not red paint. Congratulations. I got mine September of last year. Great fun, these cars. If they have autocross in your part of the world then I would highly recommend that, I just came back from an event. Yours looks like it is in really good nick, shame for the breakdowns. Good luck. Haha, didn't you see the NR-A Roadster coupe photo in my thread? 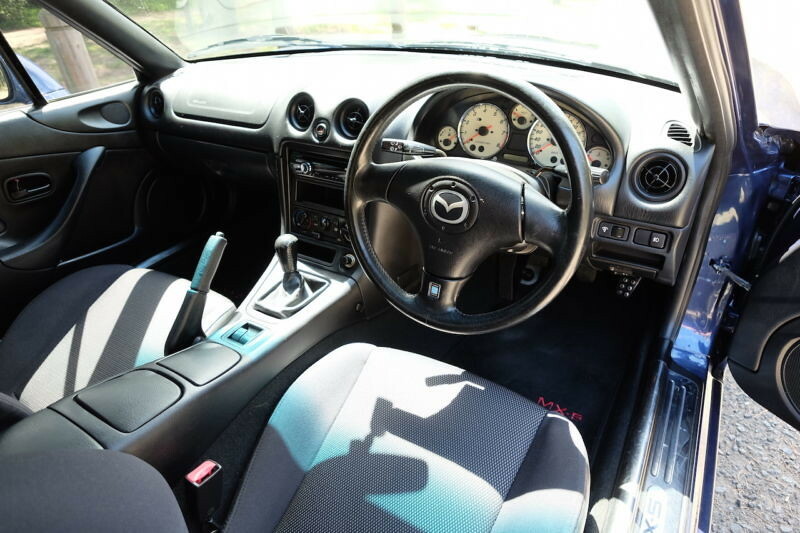 Jap spec racing model comes standard with a red roll cage and racing seats. I have thought about the coupe.... It would make an EPIC daily, but not sure how I feel about permanently removing the ability to flip the lid. Yes, I did some autocross in my Mustang when I was living in Cali. last year... quite honestly one of the most fun days I can remember. Unfortunately they don't do it to the same level here, and not nearly as approachable (need to join CAMS certified car club, get a CAMS license then buy your own helmet etc before you can try it out), but they do have some so I am going to be signing up at the start of the new financial year (all the licenses renew then, and I still have exams atm, so it makes sense). The cam angle sensor was a really cheap and easy fix - $50 and less work than changing a headlight bulb. 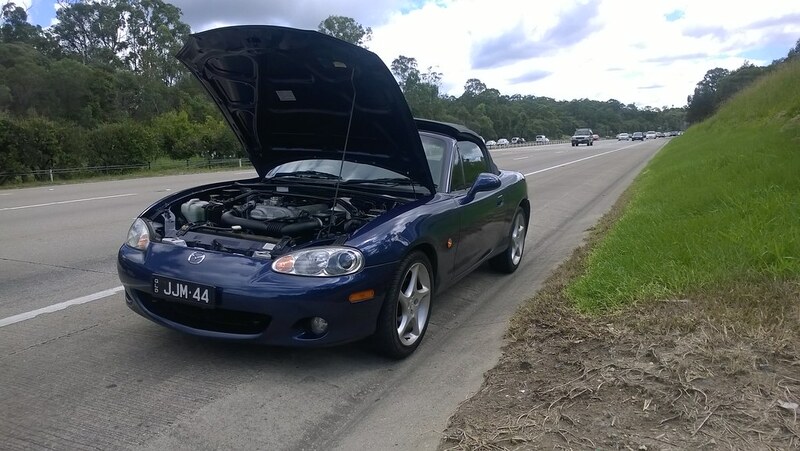 Apparently they are chronically unreliable on the Miata and some car clubs actually take spare ones along to any track day or long cruise they organise because it is so common. 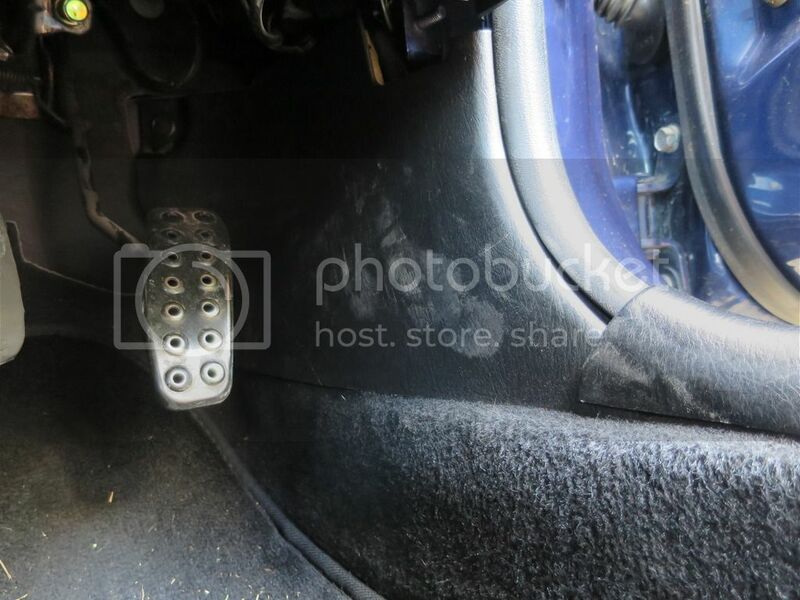 Yeah on the later cars it's advisable to keep a sealed cam sensor in the glovebox ready to go at a moment's notice. Some people never have an issue while others do, it's hit and miss really. So Torsen 2 LSD + 4.1 got installed with the poly bushings and wow... what a difference! The shorter gearing is amazing, but taking a bit to get used to on the hwy. Not a day later the Tein Flex Z coilovers went in. As expected, the factory settings were pretty terrible. Got them better now, should have the EDFC on soon. I do want to raise the car a little too. 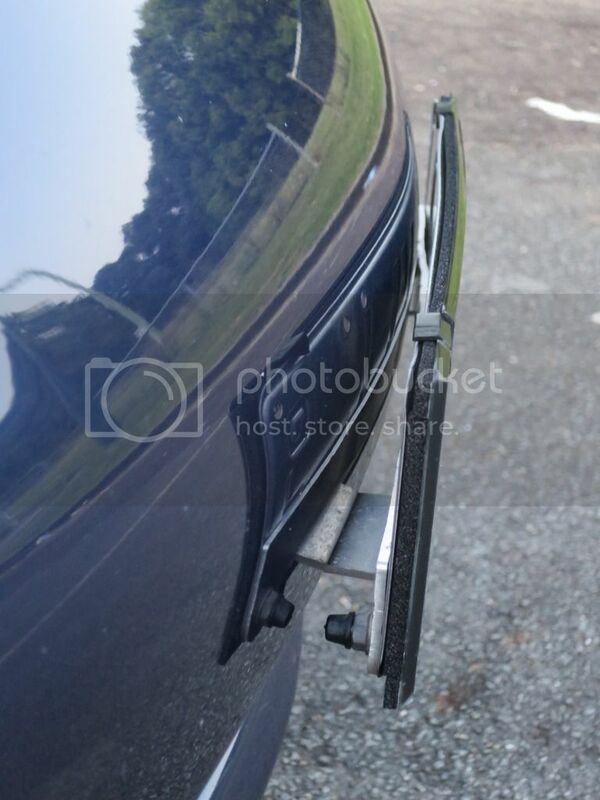 I also installed the IL Motorsport clear reflectors and side indicators. I installed the IL motorsport LED 3rd brake light too (a bit painful!) but didn't take any photos from the back. I did a AAMI defensive driving day yesterday too.... it was pretty tame in comparison to ones I have done in the past, but its always good to do another in a new car, and a discounted premium too (until I move, because their agreed value is a joke). 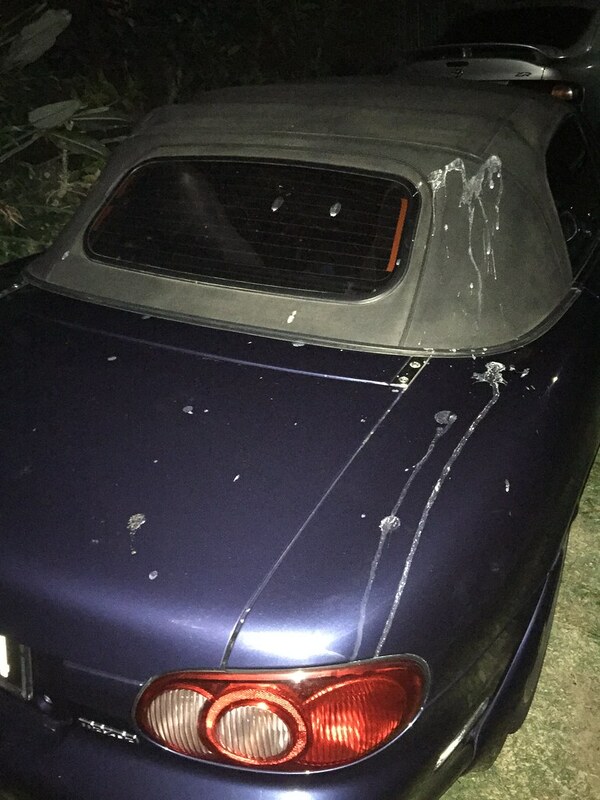 I had a couple of weeks where nature managed to attack my car every day, bird poo, bat poo etc, clean it off and it was back within 24 hours. This was about 4 hours after I washed my car, whilst I was driving through the city.... glad I drove with the roof up that day! Got some photos of the IL Motorsport third brake light. Thinking of tinting it red. 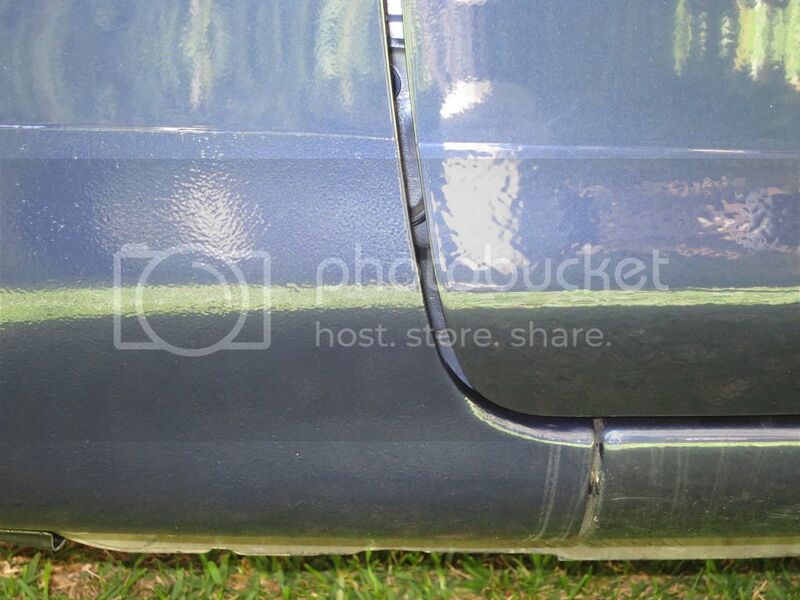 Really pissed off because this corner of the car was mint - all original and perfect paint. Couldn't drive it home so got a friend to bring my coilover spanners and we raised that corner up and pulled out the guard as much we could. The guy that hit me was a nice bloke, stayed around for ages to make sure I wasn't stranded. 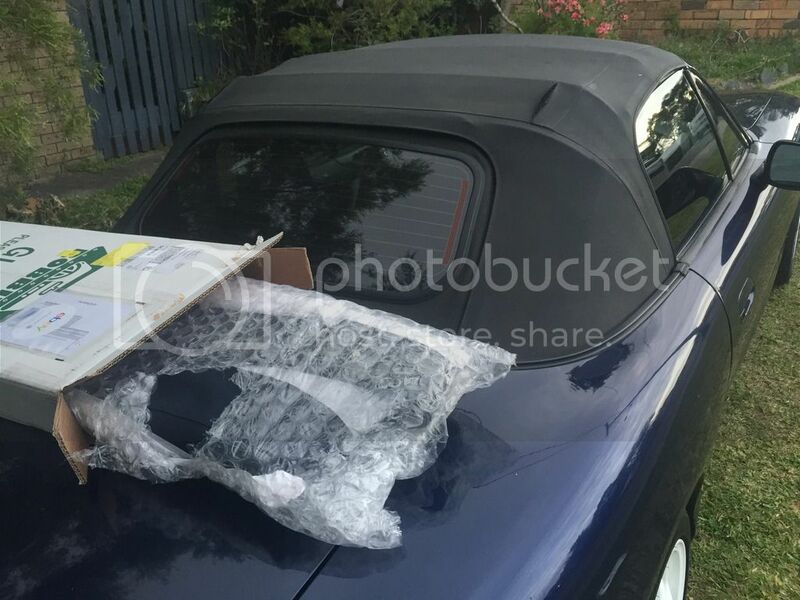 But his brother was a mobile panel beater and he wanted him to fix it without insurance involved - felt very much like grab a panel off gumtree, give it a coat of paint and she'll be right mate. I didn't feel comfortable with that, and I have full comp. insurance (a first for me) with lifetime guarantee on repairs so I put through a claim with them (AAMI). They are going to pick it up Monday. They deemed me to be not at fault since the reversing driver always has the greater duty of car, and also I was stationary. 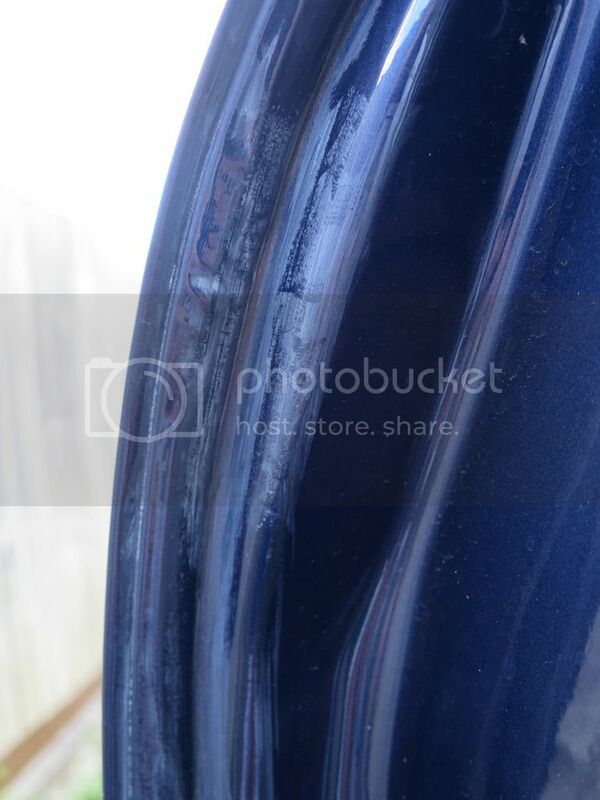 Damage I can find: Quarter panel is completely shot, front bumper has paint damage and retaining clips are broken, under guard plastics damaged and broken mounting points and the wheel had paint transfer (chipped through the coating in a couple of places). Doesn't appear to have done any chassis / steering / suspension damage. I am very happy that the powder coaters have taken so long with my wheels.... they were supposed to have gone on early this week which would have meant a damaged good wheel, and also more significant damage to everything else since it would've been 15mm further out (so greater chance of steering damage). Jeez, how fast was he backing in? This is why I always park in the back away from everyone. He was going really slowly..... he just kept going even though I was on the horn well before and even after it started crushing my guard. He only stopped when he hit the face of the wheel. I know, I never park up the front there, I just did that night because it was only a 2 min stop. I spent a few hours that weekend and raised the car up to stock height so it was properly drivable (and legal height... just in case they cared). Took it into the repair shop at my appointment time expecting it to be all fixed in a week, before they told me that they can't get one of the bumper mounting points or splash guard in the country, and they won't be here until the 27th August (I checked my PDS - they only ever pay to sea freight parts from overseas). So that's painful. They also refused any co-contributions, so I can't pay them to respray the whole front bumper to get the scratch on the other side. Driving it raised is weird.... it is stock height, but since the Flex coilovers have independent height adjustment to preload, the car is just as stiff as it is lowered. It is a weird combination (mainly because the height encourages you to just throw it around instead of slowing right down for obstacles). They looked AMAZING!!! I also realised when I was dropping them off at the shop that my uncle's parents owned the place! So I got a great price and they put a lot of effort into them. I had to choose tires. 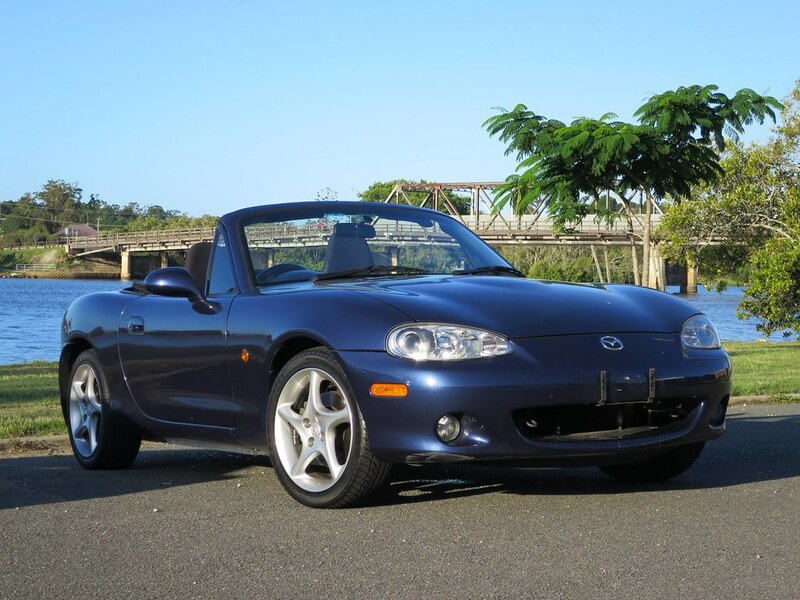 I didn't want anything too sticky - I love the way the MX5 squirms around on the road when you are pushing it (even just around town).... not drifting, but just a little movement to remind you that it is willing to play. At the same time though, the car needs all the help it can get in the wet, and since it is my only car I need something that I can drive home in the pouring rain at midnight after a late night at uni and not be worried about losing control when just driving normally. Unfortunately there are no good deals around on 16" tires at the moment. I was hoping for a buy 3 get one free or something, but no such luck. 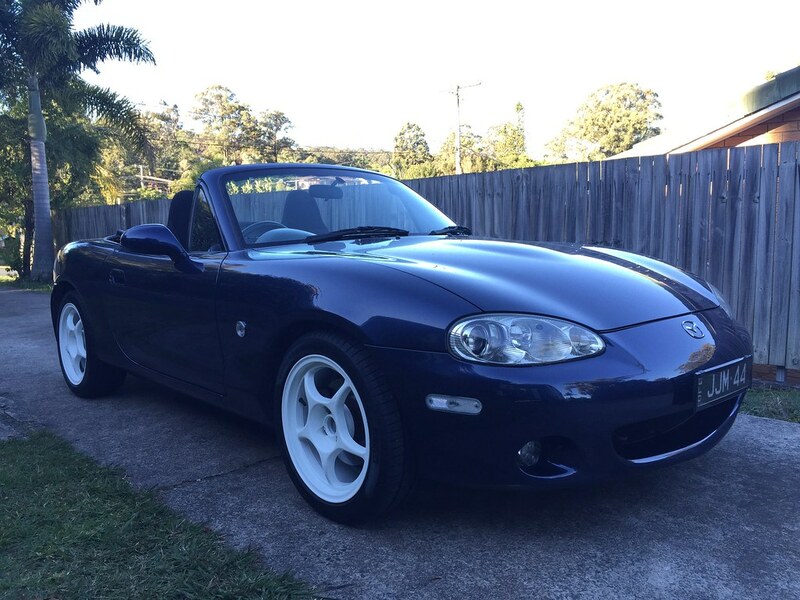 A friend has Falken ZE-912 on his MX5 that are good in the dry, but they are pretty scary in the wet. They are also wearing quite fast. 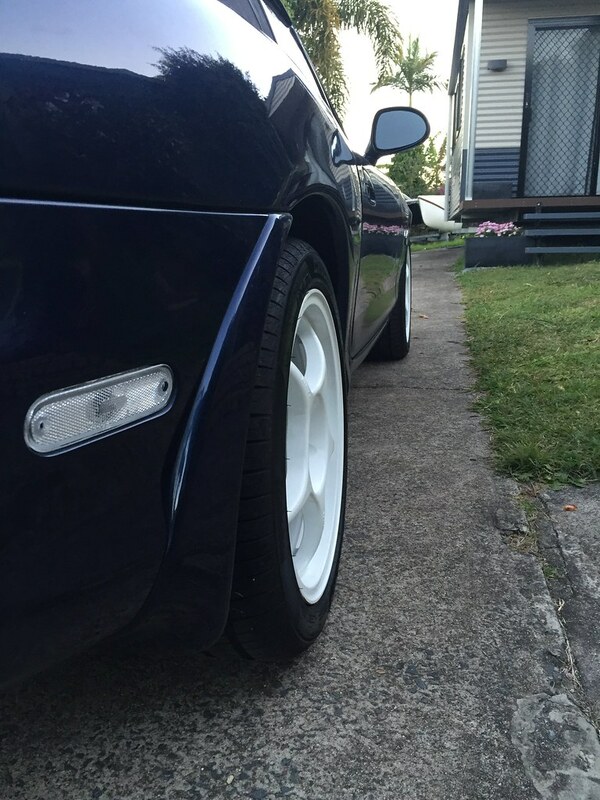 I ended up going for a set of Pirelli Cinturato P1 in 205/45R16 for $170 AUD per corner. Hopefully they should give good enough dry grip, pretty decent wet grip and last a while. 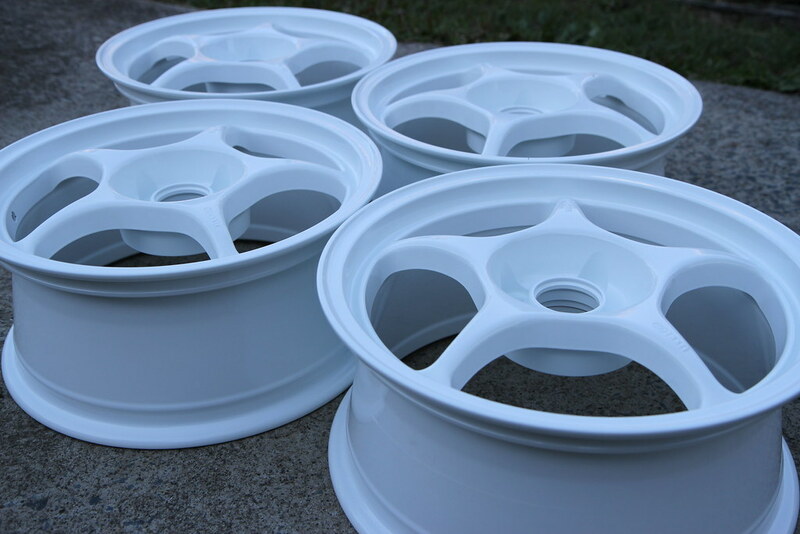 If I get into autocross stuff I will buy some other rims with sticky tires. Unfortunately when the shop was balancing the wheels they managed to chip the finish of two of the wheels (They also didn't wipe their mess off any of them, and took 1.5 hours to mount the wheels on the car, after I had already dropped the rims off 2 days prior and called at lunch time to ask the ideal time to be there). So the car went back in today and they took those wheels off so their repair guy can look at them. It is hard to say whose fault it is, whether it was thin powder coverage at that point, or a lack of car when using the equipment, but I am happy that they are taking care of it. It is loud I think it will look much better with a little bit of camber and back lowered again after the repairs are done. I was planning to paint the centre caps white, with the outside ring and 'RACING' text matched to the body colour (as well as the brake calipers), but they look good enough for now. I like the way they wheels sit (16x7 +32).... doesn't look anorexic like the stock wheels, but I don't need to worry about scrubbing out or anything. 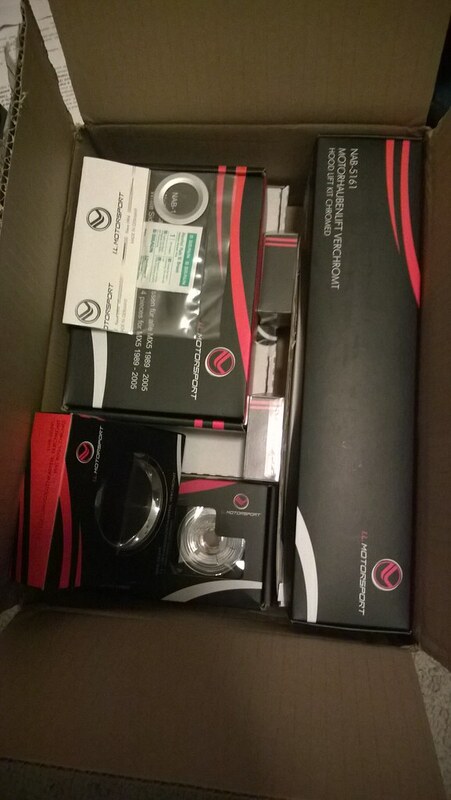 I ended up selling the EDFC Active Pro kit in order to fund all the other maintenance stuff that I've been doing. I'll try and buy another at the start of next year after I get back from Europe. 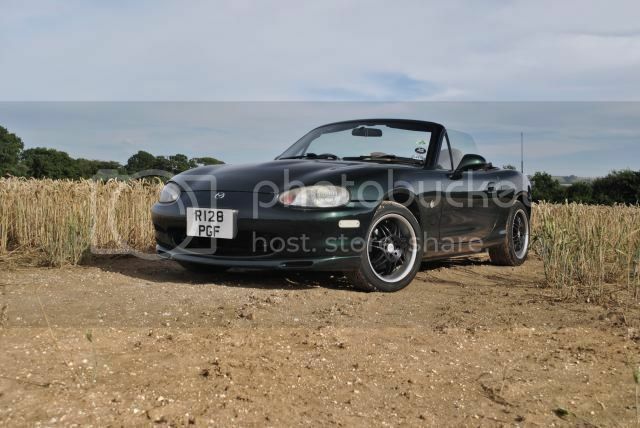 On that note, flights are booked, so no more MX5 money this year (and no track time ). 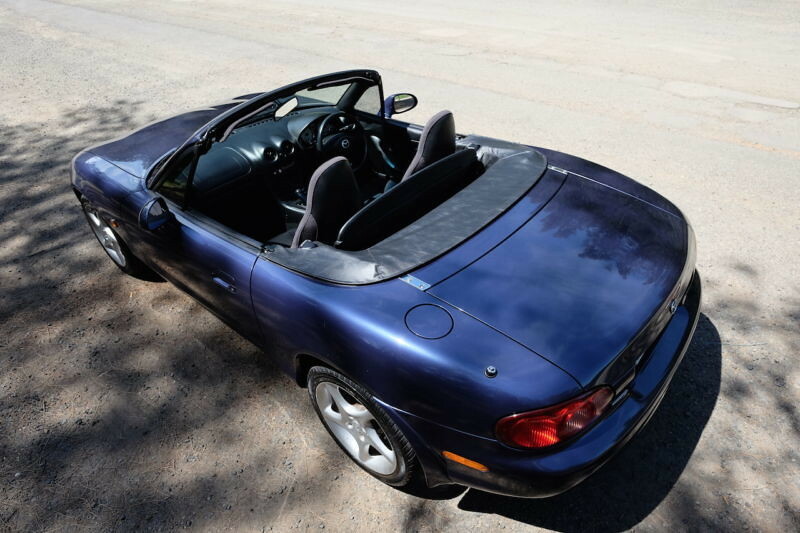 I did order the dark blue cloth Robbins replacement soft top w rain rail from the states. Came in at about $940 AUD shipped. Expecting delivery at the end of the month. If he was backing in slowly you should've jumped out of the Miata and onto his trunk. 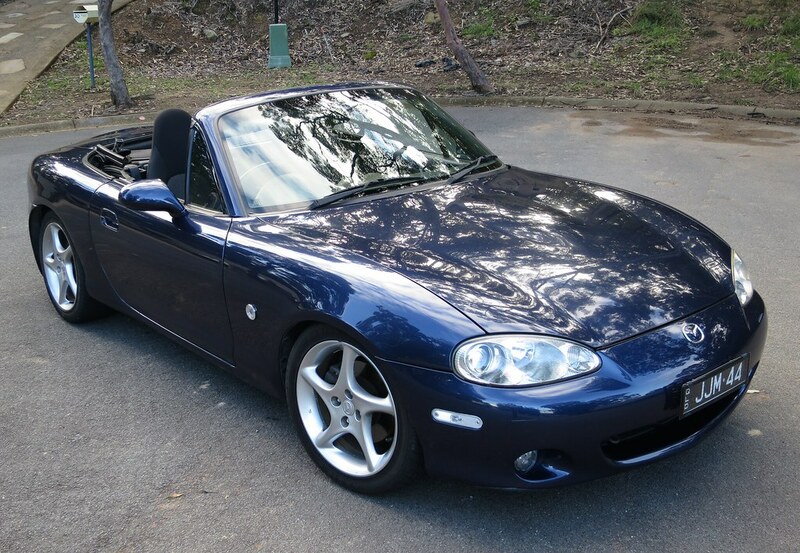 I'm thinking about buying a NB1 5-speed now, but it has to be Twilight Blue, Brilliant Black, or Emerald Green. I'm tired of red and white cars, I want paint that makes me go ooooh. I was finally booked back in for the insurance repairs on Wednesday. 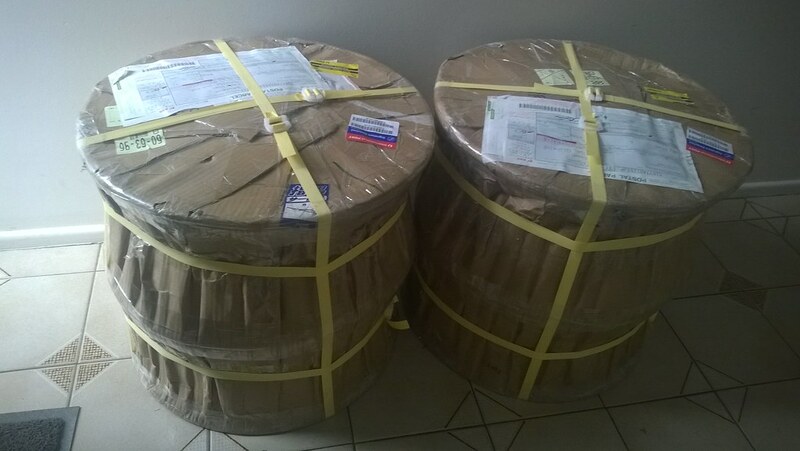 Very concerningly, it was ready for pickup on Friday. and THEN I found tape marks on my paint..... BLOODY TAPE MARKS ON MYYYYY PAINT! The colour match is very good. But it looks like they made no effort of matching the textures down the bottom. 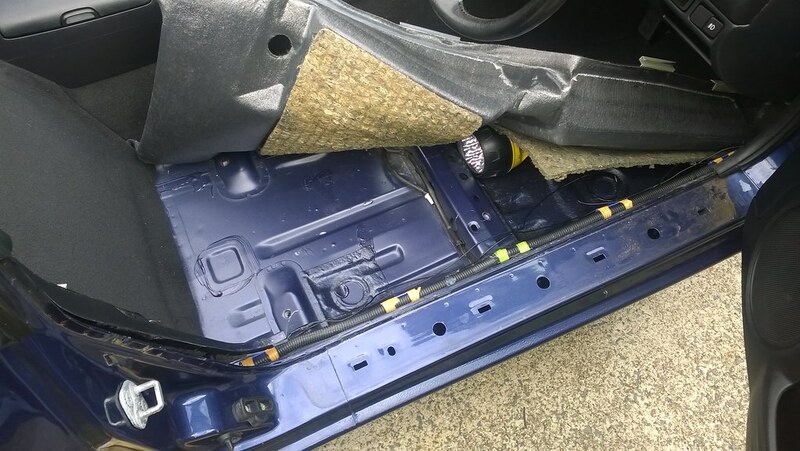 Its not even a feel thing, you can see the difference from a couple of metres away, which is a big issue for me because it is a big giveaway that the car has now had panel work done which isn't good enough. The paint job on the wheel also wasn't great, they lost my front number plate protector and I also opened the boot when I get home to find my spare wheel loose with the jack-arm wedged under it and the wood battery cover sitting over the wheel not the battery. So after that I took it back and the guy who did 'quality control' was a joke. In hindsight, I shouldn't have let him near my car at all but I guess I was just in shock so I didn't stop him. The marks in the paint were rubbed out with the inside of his t-shirt (without any cleaning or lubrication), he vacuumed the drivers footwell and kind-of cleaned that door (just a wipe with a wet rag I think), and he refused to do anything about the overspray residue inside the door because 'look mate, it just rubs off with my hand... nothing wrong here'. 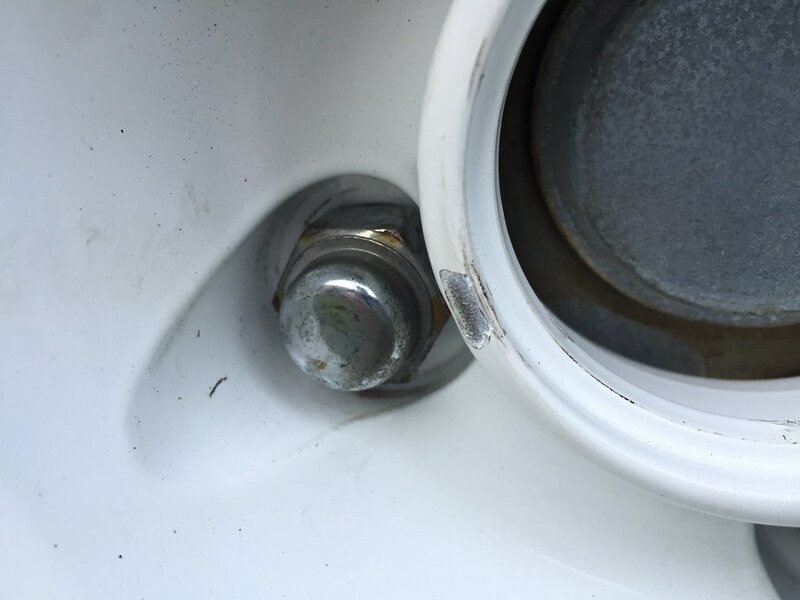 On top of this, he also thought the repairs were fine and refused to book in any corrections unless they were forced to by the insurance company. I got a call on Friday about the wheels too, they were finally back (conveniently after calling and asking questions on Wednesday.... its been a couple of weeks). 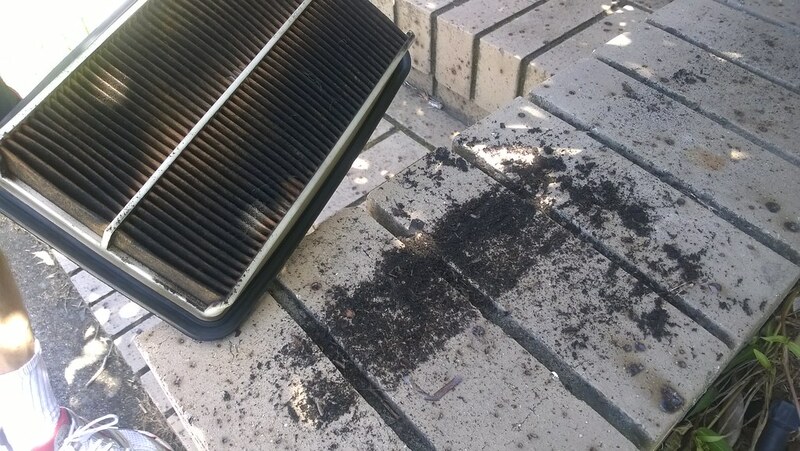 However, they were pricks and said they couldn't find time to bolt them on the car until next week sometime, but I could come and pick them up and do it myself today. The shop was virtually empty when I got there - I have never seen a tire shop so quiet. 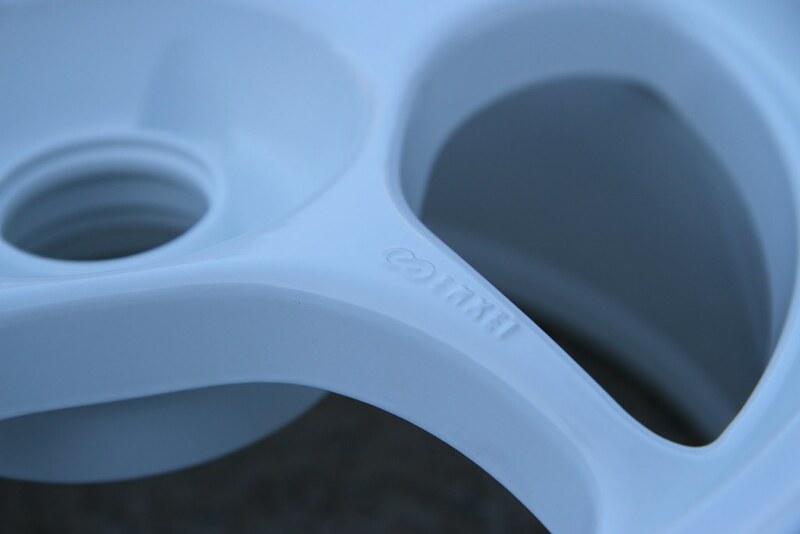 There were more marks on them now - I think the powdercoating must have been very soft. 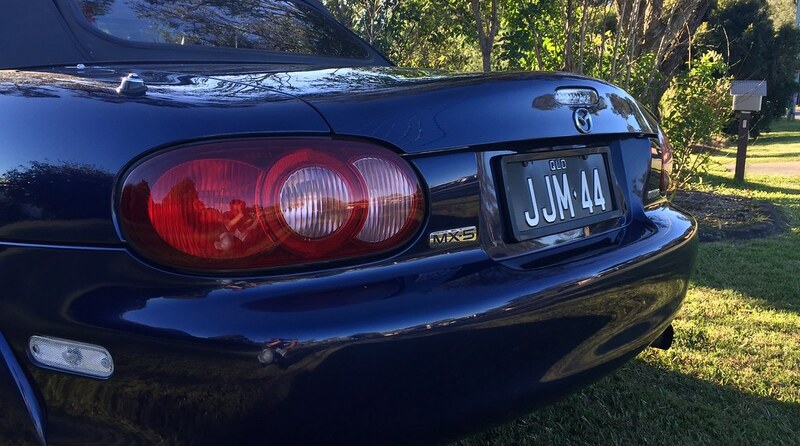 I also installed my automotive plus number plate bracket that I got for $15 delivered to my house from a local forum member a couple of weeks ago. 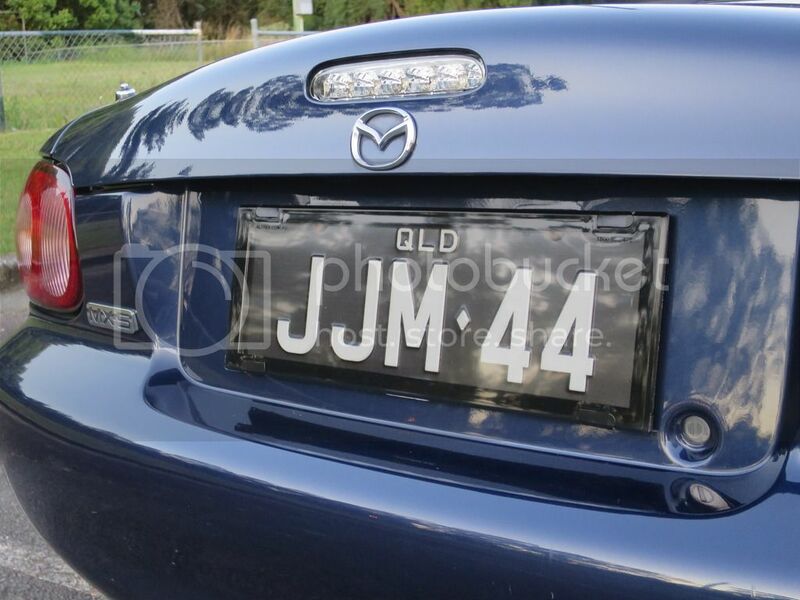 Also showing off my new number plate frame, since the repair centre lost my last one. Insurance should be picking up the bill, and I get a bonus rear one since they only sell sets! (I only had an outside frame on the rear before). I've been completely out of action for the past 1-2 weeks with the flu, and this is my final semester of Engineering at uni so I am going to be crazy busy for a couple of months catching back up and finishing everything off, so I may be running outside with the rolls of sticky tape every time it rains for a little while yet, until I can put a weekend aside for the install. Faith in my insurance restored. I went to the Repairlink today to have my repairs assessed. They were very pleasant to deal with, and within seconds of looking at it the assessor agreed that it wasn't even close to a match. The assessor wasn't impressed by the texture and when considering repairs he was worried about how high their cutoff line is. I showed him the photos that I posted up here showing the general condition of the car when I picked it up and told him that I REALLY did not want my car going back to a SMART repair centre. He jumped in straight away and asked if I had a place in mind - no questions asked. 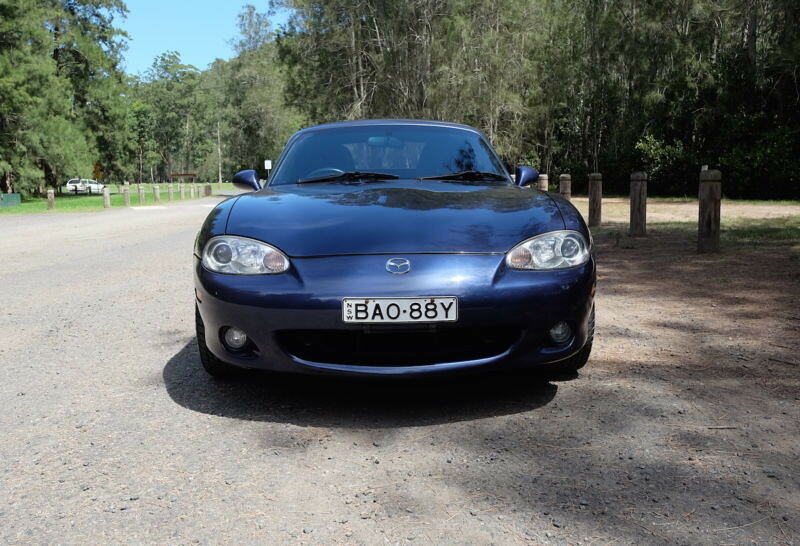 I didn't have somewhere off the top of my head, so he recommended a place in Moorooka (BCM Body Repairs) that has contracts with Mazda Australia and they send all their tricky Mazda repairs there. He said if anybody was going to make it right it was them, and they gave 'fair and reasonable' quotes which was good enough for AAMI. I also told him about them losing my number plate protectors and he just shook his head. He happily took my receipt and bank details and said I should be reimbursed in the next couple of days. 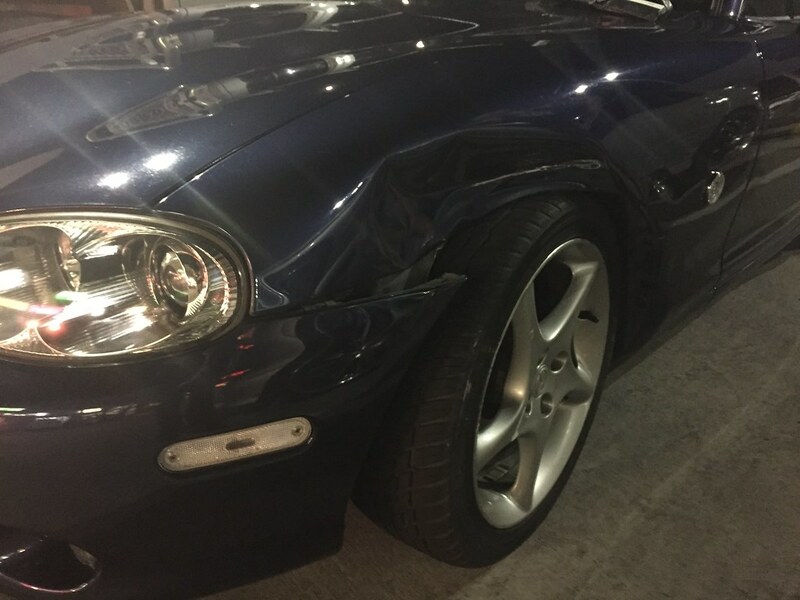 I also said that I was a bit worried because I did not have hire car coverage - the initial repairs you can pay for your own hire car and lodge a claim with the insurance of the person who hit you directly, but I obviously couldn't do that now. He swithered for a second before saying he would organise a hire car free of charge when my car was ready to go in for the repairs! He emailed me the details of the shop and I headed straight over for a quote. They were also pretty nice. 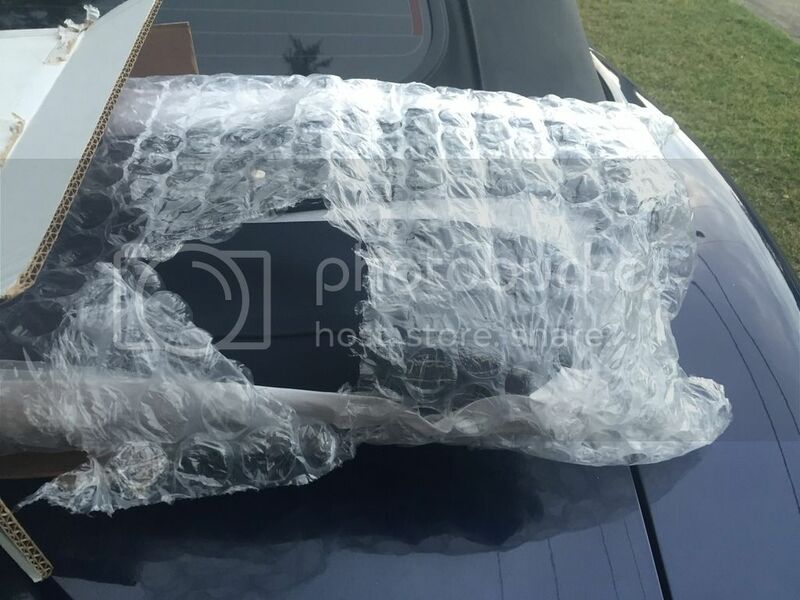 It was a pretty experienced guy doing the quote - he also agreed that it was a poor job and that on top of what we noticed, it looked like a lot of the under guard plastics had clips going into nothing underneath (i.e. they put broken stuff back, just for show) and that he suspected they also damaged my IL Motorsport side markers and glued it in to hide it. He said that since the last job was blended into the door (just before the mirror, from my spying on the initial quote at SMART) they have already filled a lot of the dimples of the stone guard on the door. If we just fixed the guard and did the same thing the act of blending it into the door again would level out the stone guard to almost nothing and make the problem worse. So now instead of a simple quarter panel replacement the entire stone guard on that side of the car has to be stripped off and replaced. There are two upsides of this for me though; firstly I will have guaranteed consistency of the stone guard on that side of the car. 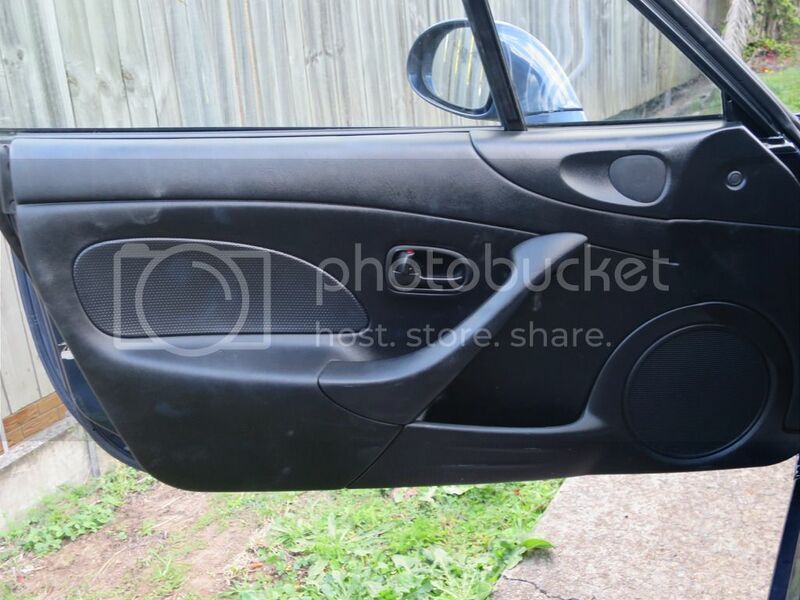 Also, for about $100-200 extra out of pocket I can get that whole side of the car repainted which will mean no ugly blend marks in a few years when things start to fade and it will also get rid of the couple of door dings and the petrol drip mark on that side. So after 3 trips to one repair centre, 1 to the assessment centre and another trip to an independent repairer we are finally getting somewhere! I am pretty happy now that I am going to get a quality repair, with minimized additional disruption to my life. Perseverance is key. Everybody I have ever spoken to has had bad things to say about these centres, and you can obviously see the absolute carelessness they displayed towards my property (and me!) in their treatment of it and the quality of repairs. The body shop I went to this afternoon spends a lot of its time just fixing SMART repairs (as I walked in he said, 'ah, another typical SMART repair'). 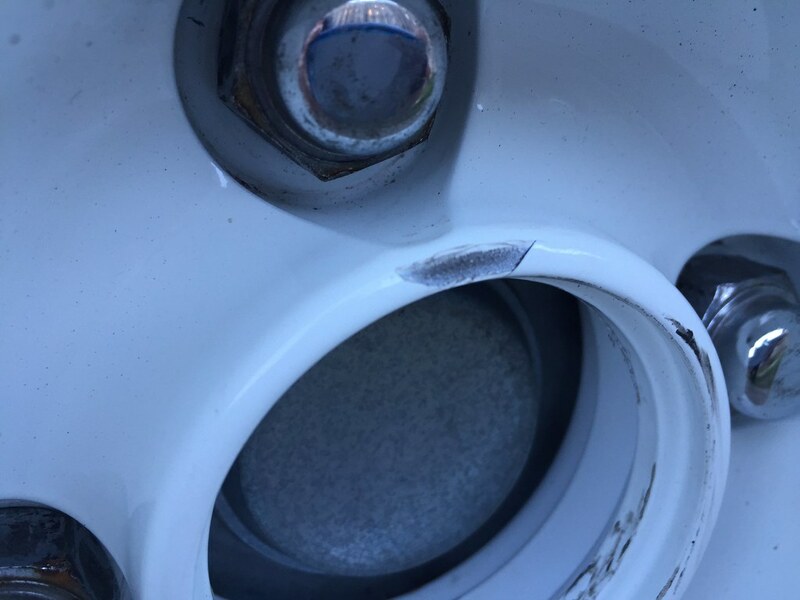 Upon investigating my vehicle and noting the many flaws in the repair he also remarked that this was one of the best SMART repairs that he has seen (that wasn't sarcastic). 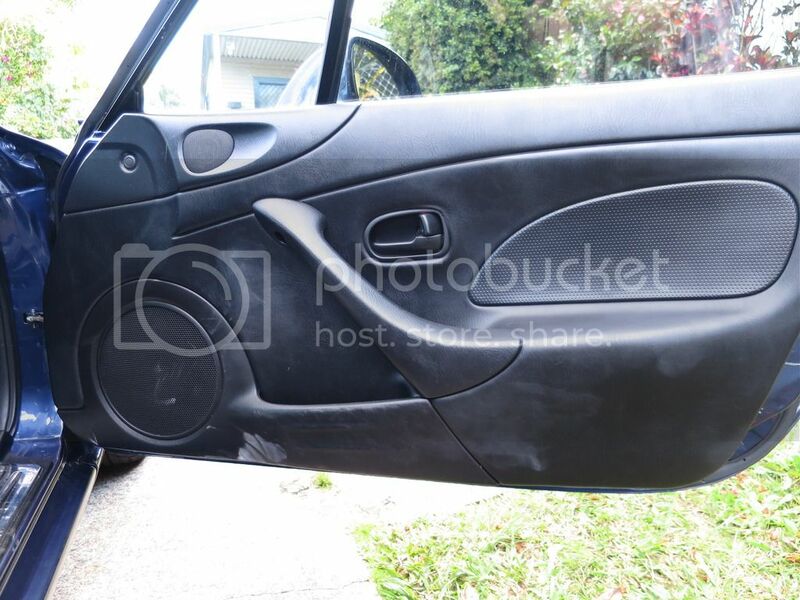 He pointed to a 12 month old Mazda 3 hatch behind us that had a door and guard replaced by a SMART centre and he was now carrying out $10k of repairs to make it right again. But what can you do? I knew all of this before I went in for repairs but I wasn't given a choice. I investigated my PDS at the time and it basically said that you can get your own quotes and wait weeks for external assessment but they will still go to their cheap dodgy place for one too and take the cheapest quote. My assessor basically said that although it will seem like the world is stacked against you, and the people on the phone will try and make you go to SMART over and over again, it is still your choice. He said that no reasonable assessor that worked there would deny a 'fair and reasonable' quote from external shops. You may not get the exact one you want, but avoiding SMART and going to a reputable repairer was always an option if you pushed hard enough. The other option of course is to get a decent insurance policy with clearly defined choice of repairers. This is easy for most people, but for a 21 year old like myself options can be limited. That said, I'm shopping around! Background: because if the curves behind the door, if you put a straight line all the way to the rear arch it looks wonky in any photos. Also, I plan to get side skirts eventually that flick up at the end and would look funny on top of a side stripe, so I decided I needed to design one myself to finish on the door instead. I had the idea of the flag type thing as another way to fade it out. 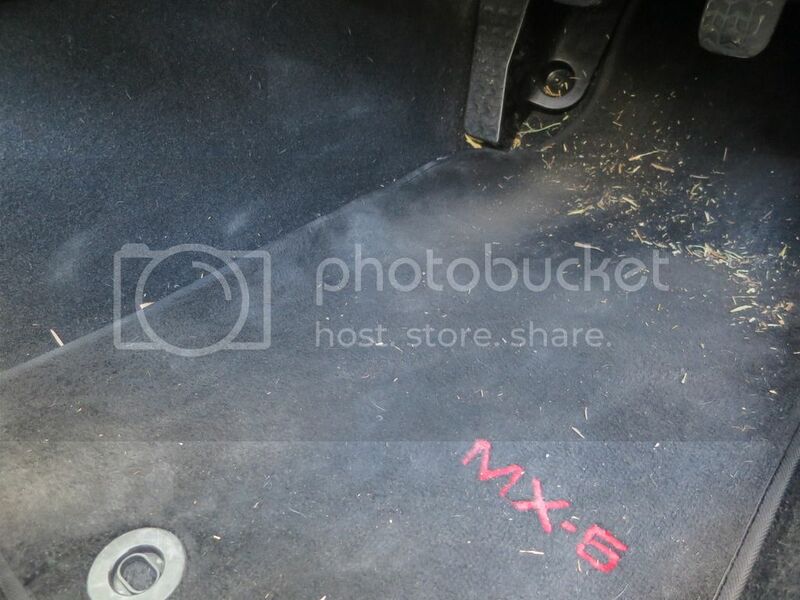 It works well on some Porsches but I'm not feeling it on the MX5.... the door is a lot closer to the back wheel on our cars which is probably part of the difference. My top 3 of this lot would probably be 1,4,2. I think bringing the edge in allows me to not 'close' the top line and gives it a very clean look (when I had it going to the end of the door it looked very incomplete). I will be lowering the car this week (stuff waiting til December for the repairer ), and replacing the soft top next weekend. 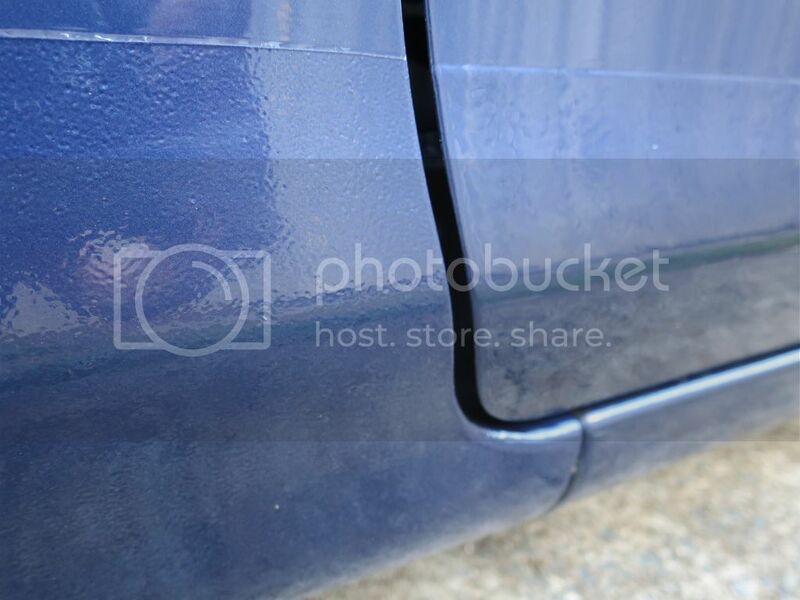 #1 to the wheel arch would look best, just a nice solid rectangular stripe. None of that flippy whippy mamby pampy stuff going on. 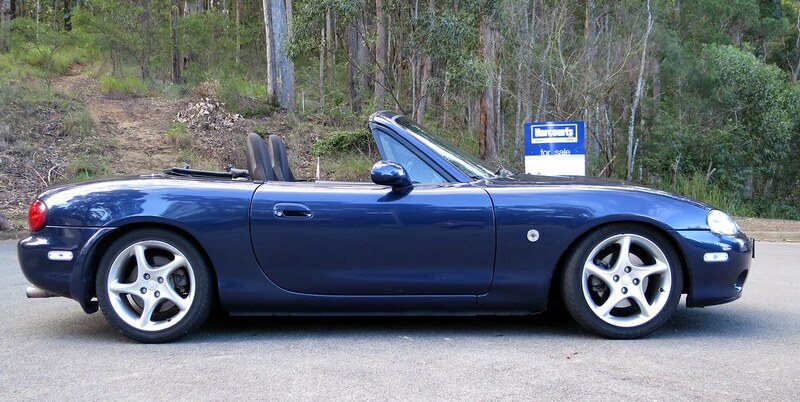 Somebody didn't read the description Solid line the whole way looks great on the NA, but looks wonky on NB because of the curves in front of the rear arch. Also, my planned side skirts will come up into that space and I don't want them to clash. I did read it but I know I'm right, so. In that case some like #6 would be better, trying to match the curve of the door just looks wrong.